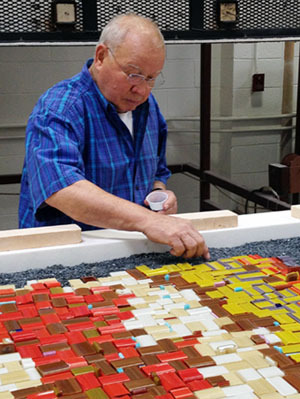 Maestro Lino Tagliapietra’s career is defined by a dedication to workmanship, innovation, and collaboration. 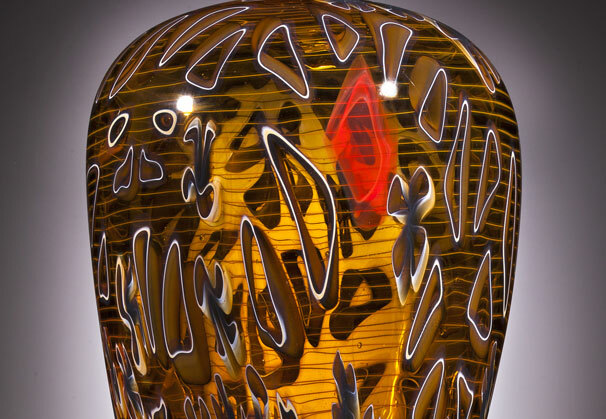 Born in 1934 on the glass-blowing island of Murano, Italy, Lino began his apprenticeship at age 11 and achieved the status of Maestro Vetraio by the age of 21. 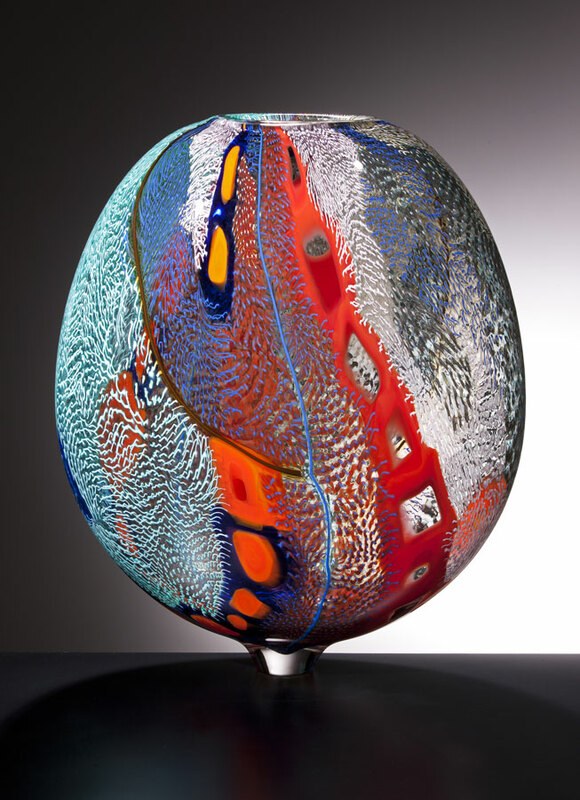 For over 42 years, Lino worked in various Murano factories and has been an independent artist since 1989. Lino is represented by Schantz Galleries, Stockbridge, Massachusetts. Lino Tagliapietra began his apprenticeship at age 11 with Muranese master Archimede Seguso from whom Tagliapietra achieved the status of Maestro Vetraio by the age of 21. 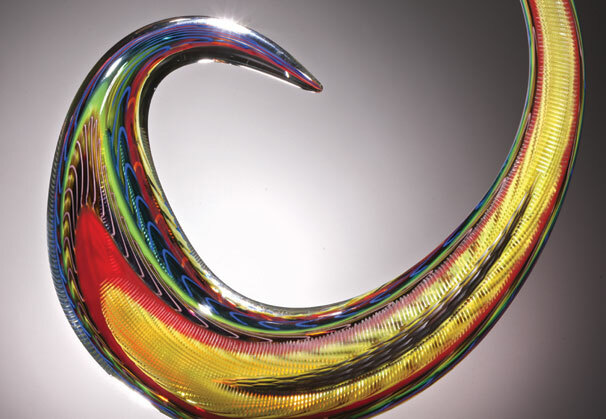 For over 42 years, Lino worked in various Murano factories including Vetreria Galliano Ferro, Venini & Co., and finally as the artistic and technical director of Effetre International (1976-1989). 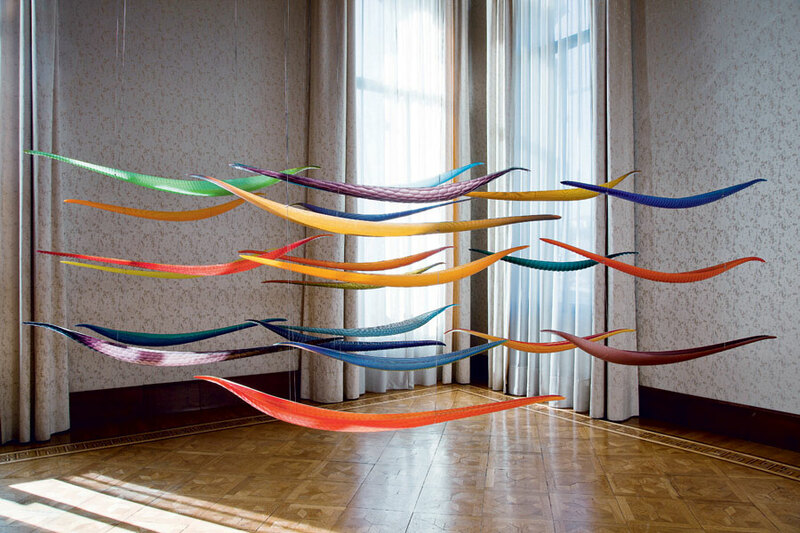 As an independent artist starting in 1989, Tagliapietra’s work has been exhibited in museums around the globe. 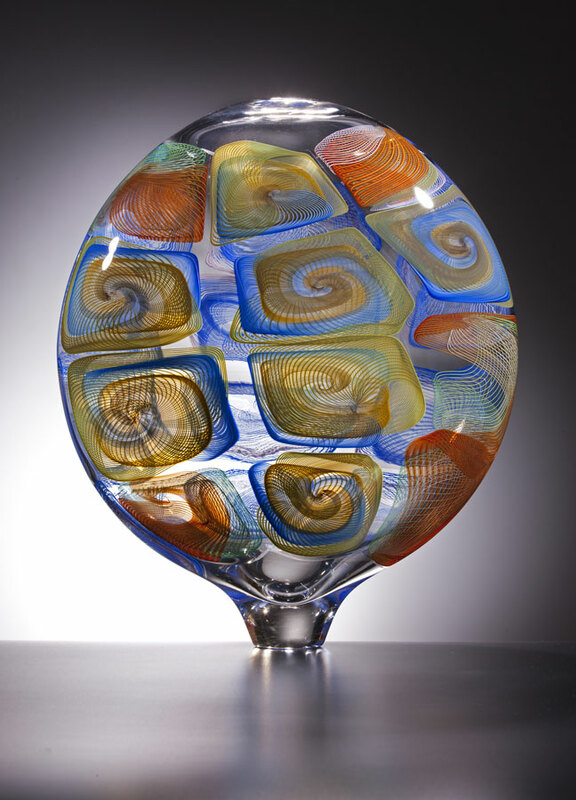 He has received countless honors, openly sharing his far-reaching knowledge of the medium and his skill as one of its finest practitioners, and helping to create a new renaissance in studio glassmaking. 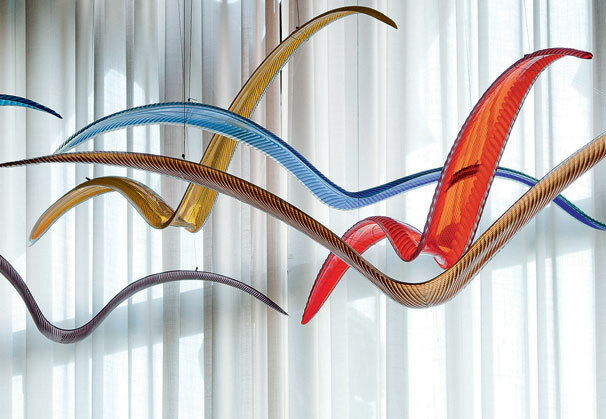 Since his first United States visit in 1979 at the Pilchuck Glass School in Stanwood, Washington, at the invitation of Benjamin Moore, teaching and collaboration have defined the artist and served as a source of inspiration for his own work. 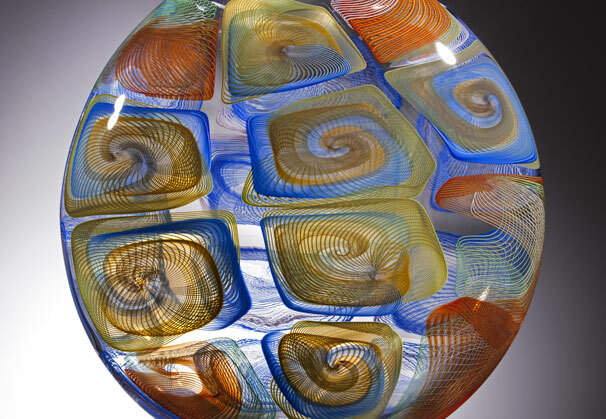 He has led workshops and taught in glass programs worldwide. 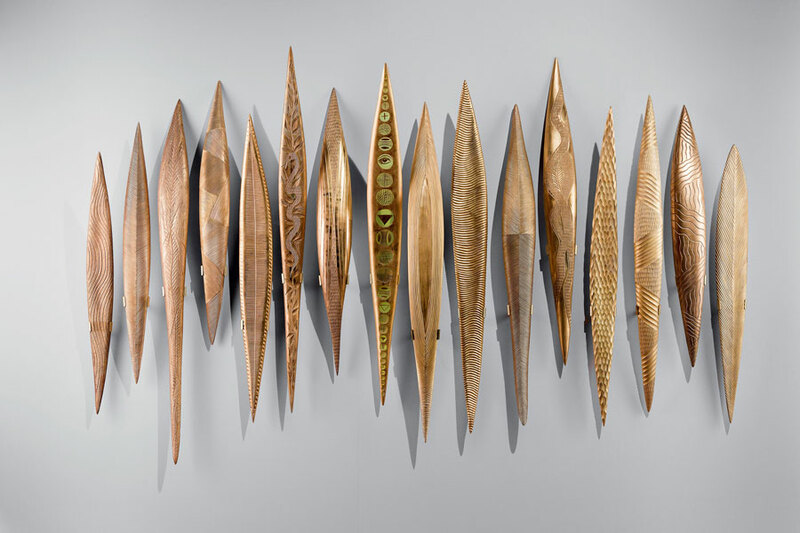 Lino Tagliapietra is defined by superlatives: skillful, finessed, erudite, creative, sophisticated, yet open and humble. What continues to drive this consummate maestro is not the accumulation of more laurels but the journey to continued discovery. 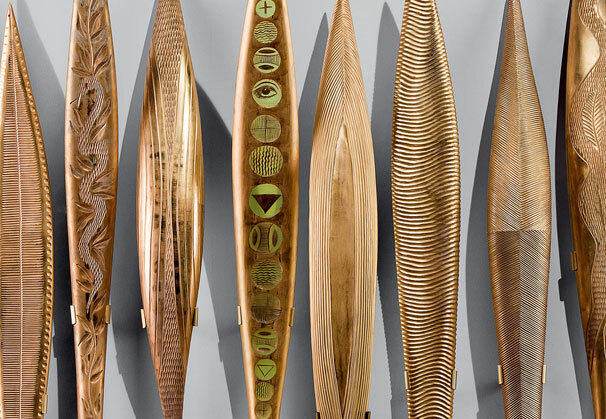 From an especially early age, Tagliapietra sought to open his world to other traditions and understand art historical precedence, always with an intrinsic loyalty to his own patrimony. 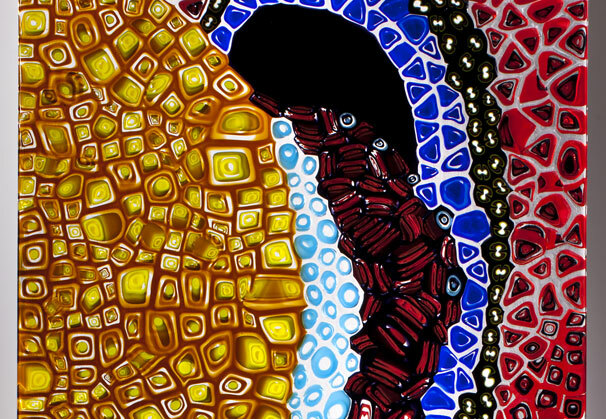 Within an aesthetic that is unmistakably Lino is receptiveness to the visual tropes of varied artistic styles and inspiration from the natural and cultural wonders of the larger world. 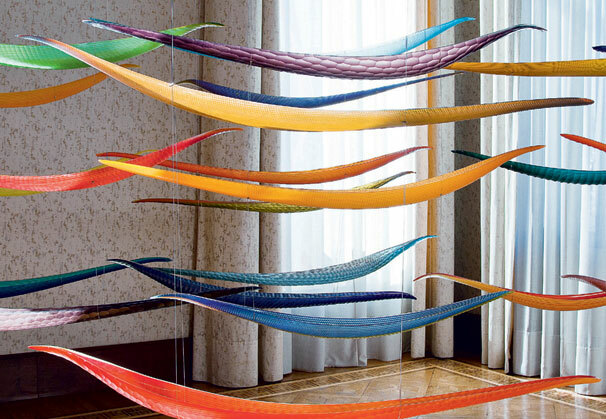 Blown or fused glass in the hands of Maestro Tagliapietra not only conveys his remarkable technical ability, but communicates the expressive aesthetic of the artist; a light, intelligent and sensuous presence. In his continued search for that seed of genius from which inspiration blossoms, Lino has taken his medium to yet another level. 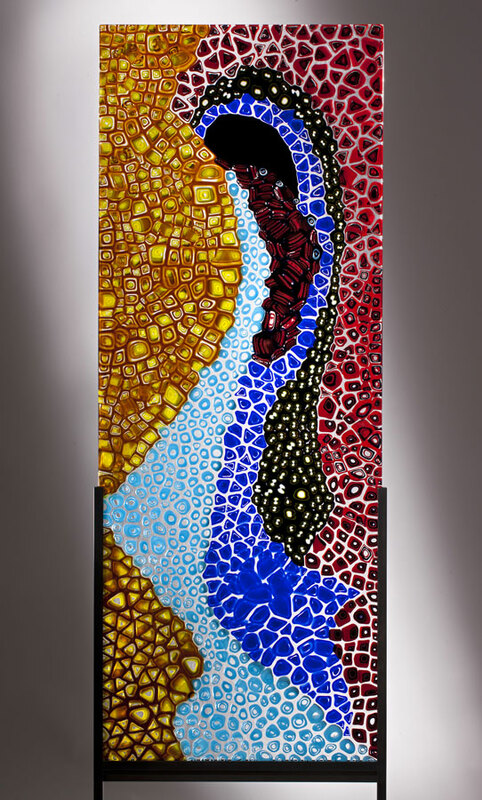 With the newest series of fused glass panels, we are transcended into a “sensory utopia,” a term that art critic Robert Hughes used to describe the work of Matisse. 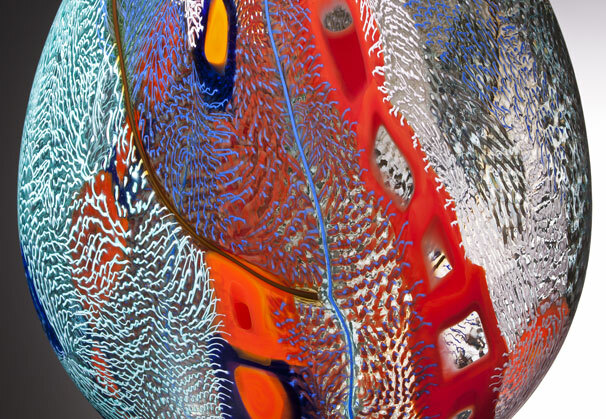 Drawing inspiration from his homeland for many of the panels, one can experience the reflections on the watery canals of Venice, or the colorful houses on the tiny island of Burano. 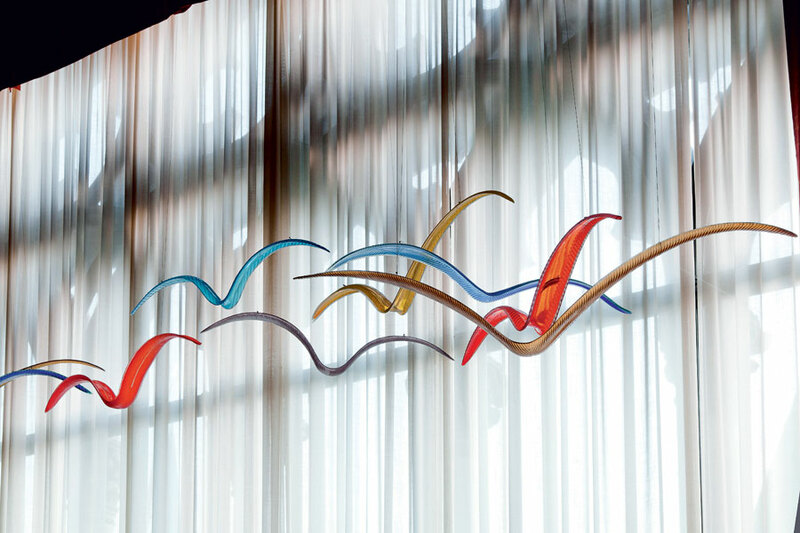 In some of the panels, there are references to windows and doors, opened or closed, symbolic of the transition from one experience to another and the opportunity to enter new places - a fitting representation for the artistic life that Lino continues to lead, entering confidently into the world of art and inviting us along on his journey, opening doors for so many. Invisible within the panels are the months of preparation and experimentation necessary for creation of the artwork; before that are decades of mastery. The same is true with the Fuji and Osaka series where further experimentation with cane and murrini takes us to a deeper appreciation for the graphic quality of the surface of the vessel. The works of art offer a sublime beauty to the viewer. 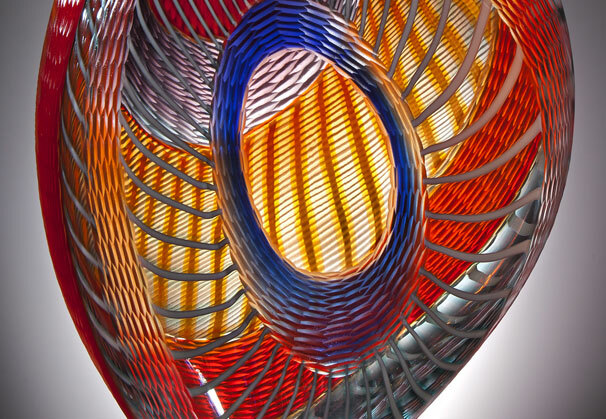 Lino Tagliapietra’s work is represented in a global assortment of museums and art institutions, including Carnegie Museum of Art, Pittsburgh, PA; Chrysler Museum; Norfolk, VA; Corning Museum of Glass, NY; The Danish Royal Museum, Copenhagen, Denmark; Glasmuseum, Ebeltoft, Denmark; Hokkaido Museum of Modern Art, Sapporo, Japan; M.H. de Young Memorial Museum, San Francisco, CA; The Metropolitan Museum of Art, New York, NY: Mint Museum of Craft and Design, Charlotte, NC; Musée des Arts Décoratifs, Losanna, Switzerland; Musée des Arts Décoratifs, Paris, France; Museo del Vidrio, Monterrey, Mexico; Museum of Arts and Design, New York, NY; Museum Boymans, Rotterdam, The Netherlands; Museum of Glass, Tacoma, WA; Museum Het Paleis, The Hague, Netherlands; Palazzo Grassi, Venice, Italy; Palm Springs Art Museum, CA; Renwick Gallery of the Smithsonian American Art Museum, Washington, D.C.; Seattle Art Museum, WA; Shanghai Museum of Glass, China; Tokyo National Modern Art Museum, Japan; and the Victoria and Albert Museum, London, UK. 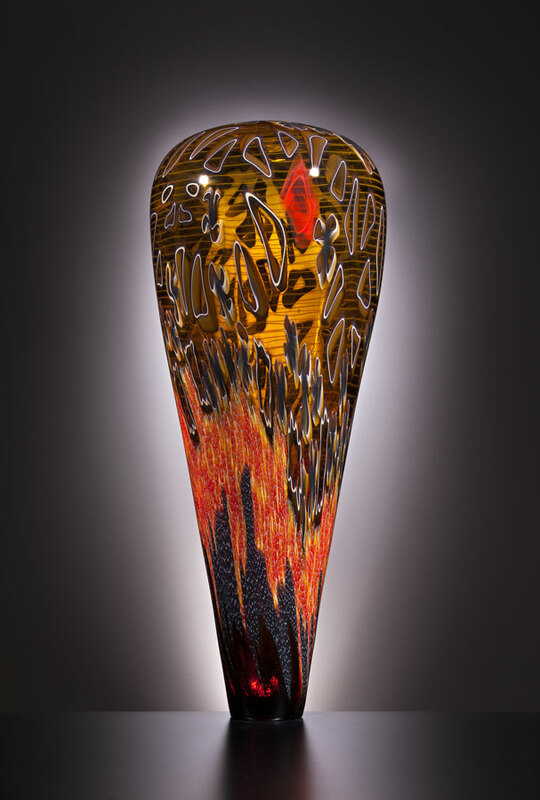 Among the awards and recognitions he has received are the Rakow Commission for Excellence in Glass award (1996; Corning Museum); Glass Art Society Lifetime Achievement Award (1997); Urkunde Gold Medal (1997; Germany); Libensky Award (1998; Chateau Ste. 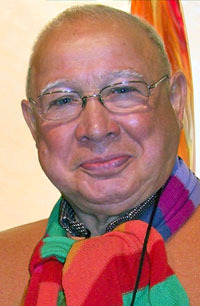 Michelle Vineyards and Winery and Pilchuck Glass School); Distinguished Educator Award (2006; James Renwick Alliance); Cristal Award (2007; Museo del Vidrio, Monterrey, Mexico); Foreign Honorary Member, American Academy of Arts and Sciences (2007; Cambridge, MA); IIC Lifetime Achievement Award (2009; Istituto Italiano di Cultural, Los Angeles, CA); Honorary Doctorate of Fine Arts (2011; Ohio State University, Columbus, OH). 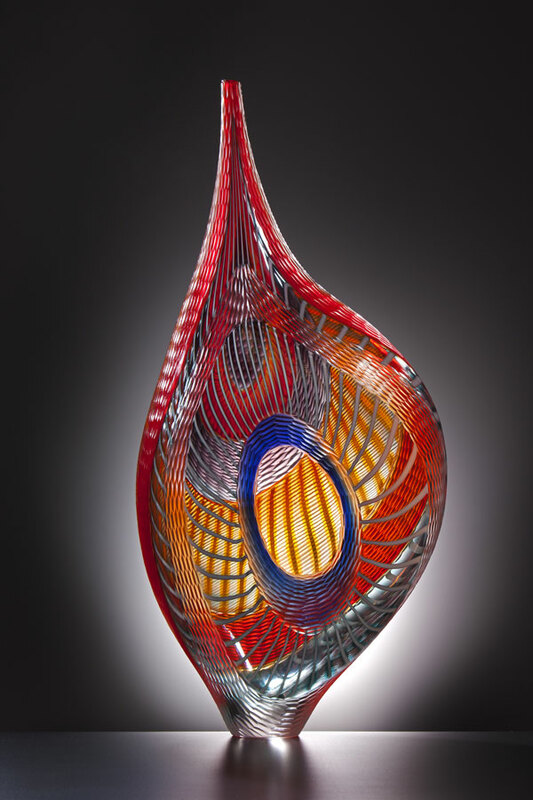 Schantz Galleries will be exhibiting new works by Lino Tagliapietra this year at SOFA Chicago, where Lino will be receiving the AACG Honors award for his long, and tireless efforts in the creation of beautiful glass art and for the generous sharing of his knowledge with the world. 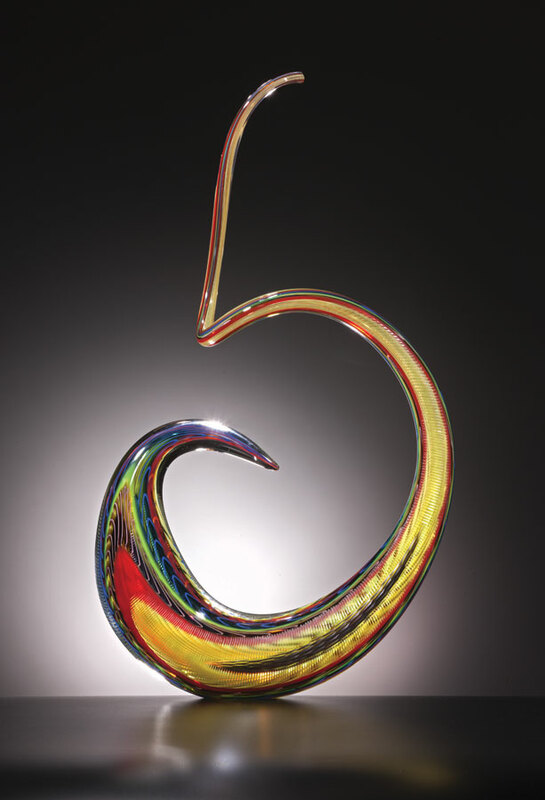 We are grateful to Schantz Galleries, Stockbridge, Massachusetts, for providing the materials for the Artist of the Month.